New visitor procedures requiring a valid ID will be in effect as schools begin implementing a new visitor management system. 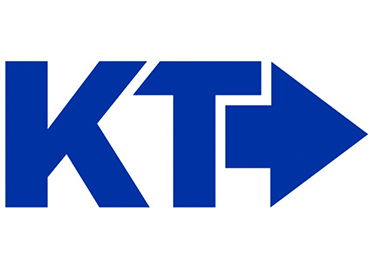 Learn more at www.ktufsd.org/visitors. 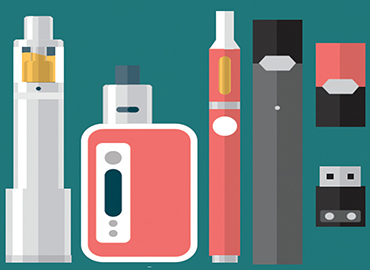 Schools and communities across the country, including Ken-Ton, are experiencing an emerging threat to pubic health: the rapidly increasing use of electronic cigarettes, or e-cigarettes, among adolescents. 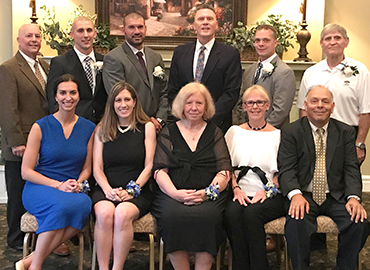 The Kenmore West High School Athletic Hall of Fame Selection Committee is accepting nominations for the Induction Class of 2019. Individuals may be nominated in three categories: Athlete, Coach/Administrator, and Honorary. Registration for Kindergarten and Universal Pre-Kindergarten in the Kenmore-Town of Tonawanda UFSD will begin in January. Created by a dedicated team of stakeholders, the district's new 2018-2023 Strategic Plan, entitled "Ken-Ton Forward," represents a significant shift in the vision and governing philosophy of Ken-Ton Schools. Learn more about it here. A two-week session is only $290 ($145 a week) with discounts available for multiple sessions. Daily activities include games, crafts, team-building activities, theater, rocketry, swim lessons, sports, field trips to Fantasy Island, and more. Highlights include KE bowler Kaelynn Weber (a NYS champion), KW Boys Hockey (the Division II Champion), and several in swimming, indoor track, wrestling, and rifle who distinguished themselves at the Section VI and NYS championships, just to name a few. 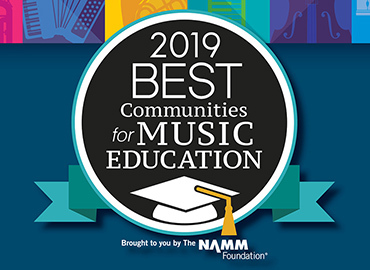 For the ninth year in a row, Ken-Ton has been designated as a Best Community for Music Education by the NAMM Foundation in recognition of its outstanding K-12 music programs and commitment to music education. 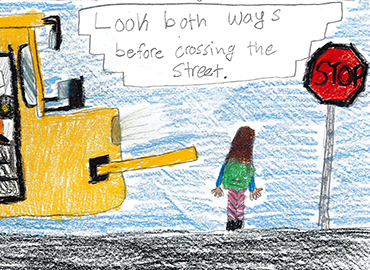 The Transportation Department thanks all students who participated in the contest and reminds all students to always stay in your seat, listen to your driver, and follow the driver's directions when crossing the street! 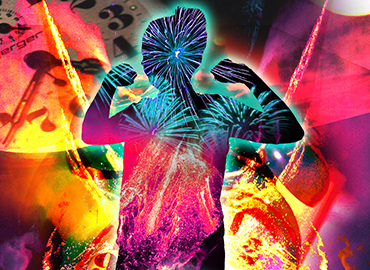 The Ken-Ton School District is widely regarded in the Western New York arts community as having one of the region’s leading K-12 art education program with two art career pathways in the Fine Arts and the Media Arts. 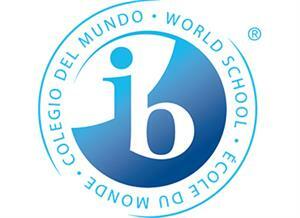 Kenmore East and Kenmore West are two of only four schools in the eight counties of Western New York that offer the prestigious International Baccalaureate (IB) Program. Find information on programs and activities taking place in all schools that promote positive behaviors and a safe and supportive school environment, and what you can do to respond to and report bullying. 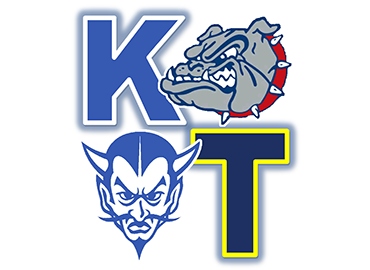 After more than a decade operating as a club team, the Kenmore DevilDogs lacrosse program is now officially a Ken-Ton School District sport. New York State has recognized the exceptional quality of the Kenmore East and Kenmore West Pre-Engineering Academy by naming it a Model CTE Program. The Big Picture Program, located at the former Kenmore Middle School Building, is a non-traditional high school program and the only one of its kind in Western New York. This evening, school and district officials were made aware of rumors regarding a perceived threat to the safety of students at Hoover Middle School. These rumors originated with a message posted to social media earlier today (Sunday, April 14). More information can be found here. 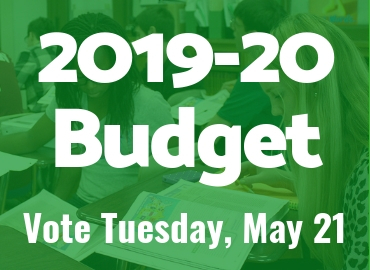 The 2019-20 District Calendar Overview, which includes a snapshot of the 2019-20 school year, has been posted to the website at www.ktufsd.org/calendar. The Ken-Ton School District is now accepting registrations for its Summer Day Camp Program, which runs for four two-week sessions for a total of eight weeks during the summer (July 1-August 23). On Thursday, April 18, Kenmore East students were treated to polka music during arrival and dismissal as part of an early Dyngus Day celebration led by music teacher Michael Ihde. On Monday, April 15, Kenmore East will host three other high schools for a special invitational concert that is designed to promote the importance of music education. Students at Lindbergh Elementary recently met volunteers from Ohana 100, a group that visits communities in Hawaii and Western New York to support literacy initiatives and is dedicated to getting children excited about reading. 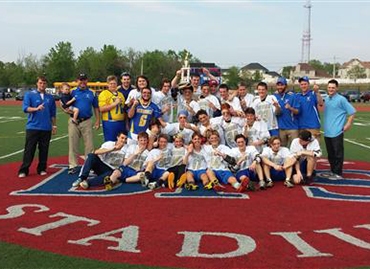 The winter sports season saw numerous achievements by Kenmore East and Kenmore West teams and athletes. Talented musicians from Buffalo String Works visited Kenmore East High School for a special guest performance and discussion with music students on March 20. This year’s Erie 1 BOCES National Technical Honor Society inductees included 10 students from Kenmore East High School and 18 students from Kenmore West High School. Family & Consumer Sciences classes demonstrated their knowledge by manipulating key ingredients to develop the perfect chocolate chip cookie. For the 14th time in 16 years, the Kenmore East Model UN Team won the top honor at the WNY Model UN competition: Best Overall Delegation. Kenmore West senior Josh Sinclair won this year's 2019 Regional Shakespeare Competition and junior Luci Weatherbee placed second for the second year in a row. "She is always positive, supportive, cheerful, encouraging, and kind to her schoolmates. Maisy goes the extra mile for any friend who needs help and can frequently be overheard encouraging her peers and cheering them up if they have had a rough day." "Kara Pezzino is more than just a cafeteria monitor. She is kind, patient, energetic, and willing to help out at Lindbergh in anyway possible." "Cathy goes above and beyond to help and support the students, families, and staff at Lindbergh Elementary. She is compassionate, caring, and always mindful of the needs of Lindbergh students and staff." "Sam is a bright light at Hoover Middle, presenting herself maturely and respectfully, hard working, kind, respectful, fun, and the type of student any teacher would be lucky to have in class." "People really appreciate the high energy Bryan brings to his work for Hoover Middle and the wider community." "She goes above and beyond on a daily basis. She is always positive and kind to each student and staff member with whom she interacts, and she takes on extra responsibilities, jumping in wherever needed." "Chase Achatz is an amazing representative of the Edison student body. This fourth grader is a model for character and integrity." "Lynne goes above and beyond for her students as well as for the school community. With an effortless teaching style and pragmatic approach, her peers constantly seek her opinion and guidance." "Lisa is a collaborator, always willing to learn and do whatever it takes to get the job done in a highly effective manner. She makes everyone’s job easier by lightening the load of those she supports and does it everyday with a kind word and a smile on her face." "Over the past four and a half years, he has greatly increased our media presence by working relentlessly with all media platforms to tell the Ken-Ton story." "Working with Mrs. Hawthorn is an absolute joy. We all highly admire her kindness, attention, and devotion to each individual student." "Harme is exceptionally wonderful and compassionate when working with our ELL student population. She is understanding of their cultural, linguistic, social, and academic needs." "Taylor can always be counted on to set the right example for her classmates. She is always willing to help other students and is eager to learn each day." "Jim and Matt saw the potential for our students that needed a non-traditional environment and helped create a culture of learning and caring for each individual student." "Nancy is the School Nurse at the Kenmore Middle School Building and has made great efforts to get to know and help the Big Picture students." "She has achieved success in her academic classes, explored her passions through her independent projects, started an internship at a local motorcycle shop, and has been a leader in her Advisory." Kim Roll, Ken-Ton School District food service director, was recognized for winning statewide recognition as the recipient of this year’s New York School Nutrition Association’s Outstanding Director of the Year Award. "She engages in constant professional communication, is willing to provide guidance and tips, and goes out of her way to make sure daily needs are being met." "The staff appreciate that she’s reliable and always willing to provide a hand. She has strong organizational skills, and works hard to make sure tasks are being completed on time." "He shows nothing but respect towards his peers and the adults in the building. He always has a positive attitude and greets others with a smile." "She has worked tirelessly as a highly-effective and influential classroom aide who has served the students of Franklin Middle School and Franklin Elementary School for the past 23 years." "While her academic achievements are beyond impressive, it is her positive demeanor and character that sets her apart. She is kind, respectful, and always willing to help others." "She demonstrates a belief in her students to accomplish extraordinary tasks and encourages them to achieve even beyond what they believe they can achieve." "Those who know him best see him as a gentle leader buried within a hardened exterior -- the consummate “tough, but fair” educator that students appreciate more and more as they grow through his class." "Lynn epitomizes the ideal of customer service and she goes to great lengths to helps students, staff members, and community members in every facet of her job." "Jessica is kind-hearted and is always willing to help another student if they are struggling."